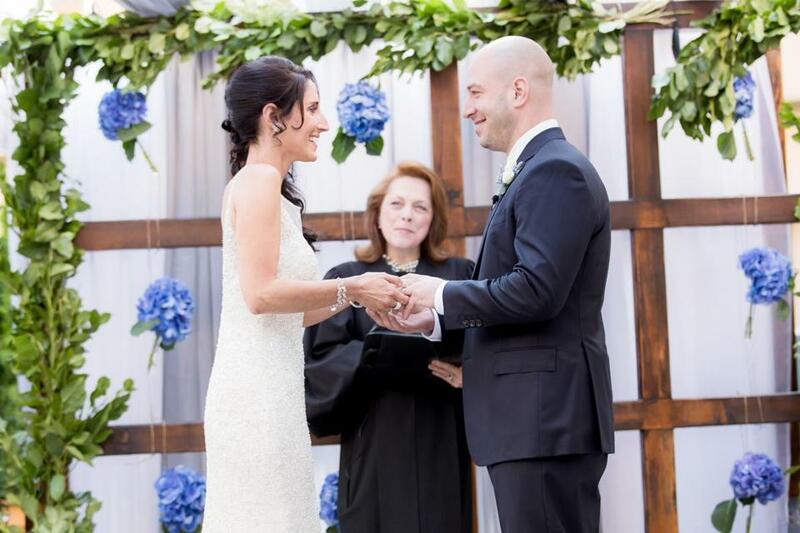 The pain of the Boston Marathon bombings has led to a beautiful new beginning for one survivor. 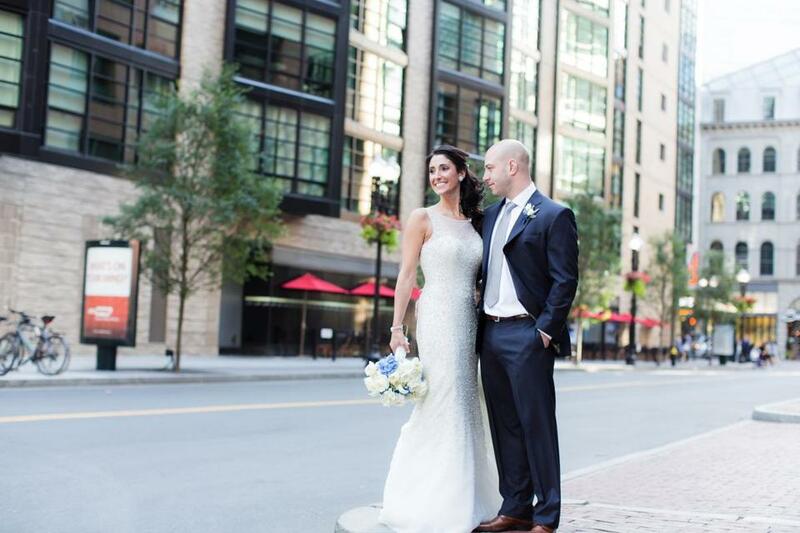 Last Saturday, James Costello married Krista D’Agostino, one of the nurses at Spaulding Rehabilitation Hospital where he rehabbed after multiple surgeries for burns and shrapnel. 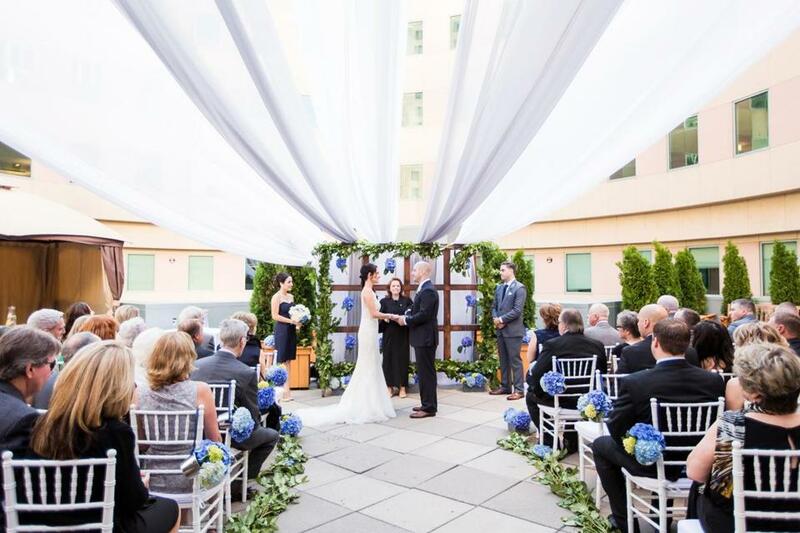 Gross and the Hyatt donated their services as did all of the other vendors affiliated with the wedding including Bella Sera Bridal boutique in Danvers, Blooms of Hope in Belmont, Prudente Photography, Goosefish Press, and Italian crooner Antonio Cassisi. 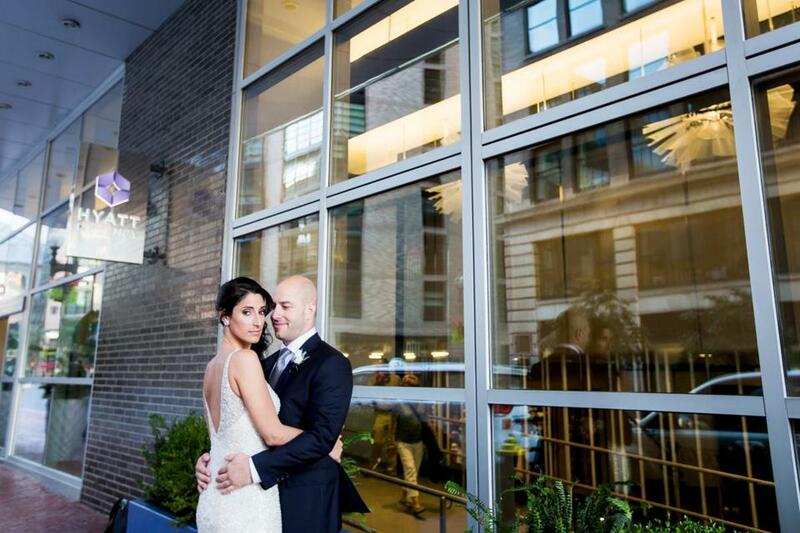 I Do Films flew from Chicago on their own dime to videotape the wedding day. The couple, now en route to their honeymoon in Hawaii, danced to John Legend’s “All of Me” — first as a dance mix with the crowd of 160, then alone as a couple to the slow ballad version. In lieu of favors, Costello and D’Agostino announced they would make a donation to the Semper Fi Foundation to help provide a military couple with the means to have a wedding. “They just want to give someone a special moment like we’ve given them,” said Gross. The first dance between D’Agostino and Costello. 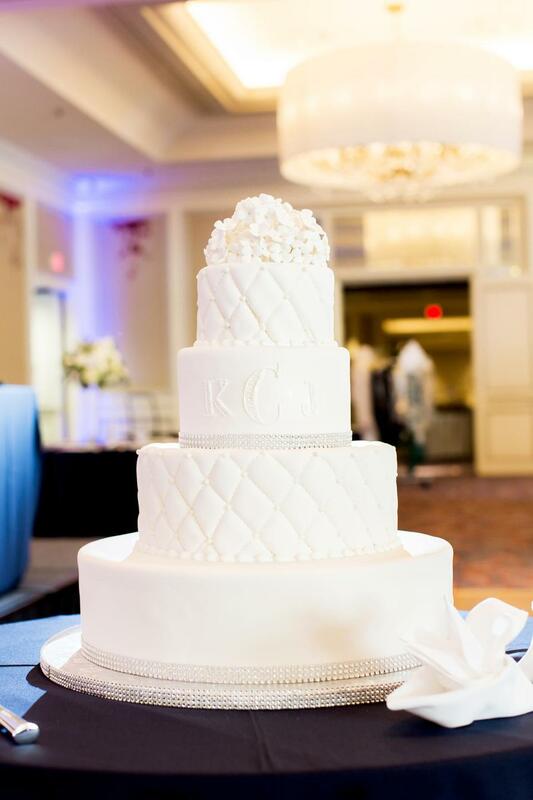 The couple’s wedding cake, courtesy of Montilio’s Baking Company of Boston. 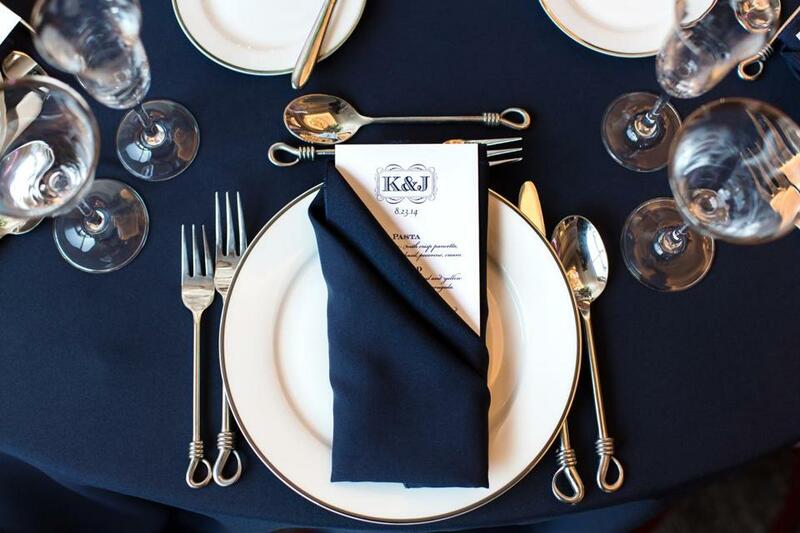 Wedding tablescape, courtesy of New England Country Rentals; featuring menu card, courtesy of Lynn Graham Designs. 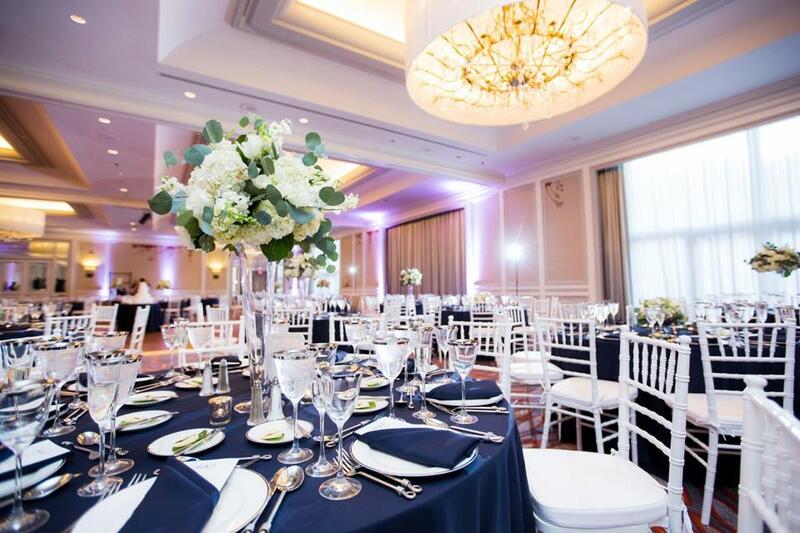 The grand ballroom at the Hyatt Regency Boston.